This year the National Museum of the American Indian is celebrating its 15th Anniversary on the National Mall. Since opening its doors at both its New York and Washington, D.C. sites, the Museum has been committed to advancing knowledge and understanding of the Native cultures of the Western Hemisphere. 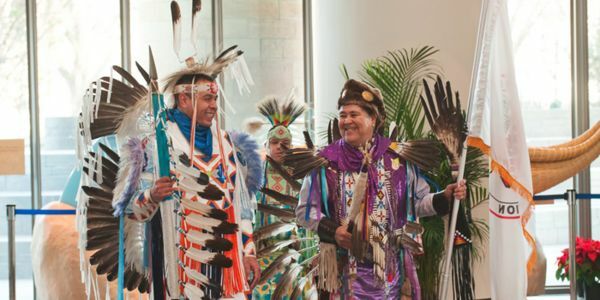 At the heart of this mission is using education, innovative exhibitions, and community engagement to combat harmful stereotypes about Native Americans. With one of the most extensive collections of Native American arts and artifacts in the world, the Museum uses its priceless resources to create exhibitions like Americans, which highlights the ways in which American Indians have been part of the nation's identity since before the country began. Native Knowledge 360° is Museum's national initiative to provide educators and students with new perspectives while inspiring and promoting the improvement of teaching and learning about American Indians. The Museum's interactive, family-friendly imagiNATIONS Activity Center provides visitors of all ages with a multitude of unique learning experiences including performances, artists, and crafts. Dismantling hundreds of years of negative stereotypes takes a lot of resources and the Museum couldn&apos;t do it without the enthusiasm of passionate supporters like you. Sign and show your support for the National Museum of the American Indian's mission and work today.